According to the National Institute of Health’s National Institute on Aging website, Alzheimer’s disease is an irreversible, progressive brain disorder that slowly destroys memory and thinking skills and, eventually, the ability to carry out the simplest tasks like walking, talking and breathing. In most people with the disease, symptoms first appear in their mid-60s. Early-onset Alzheimer’s can occur as early as a person’s 30s, but is rare. 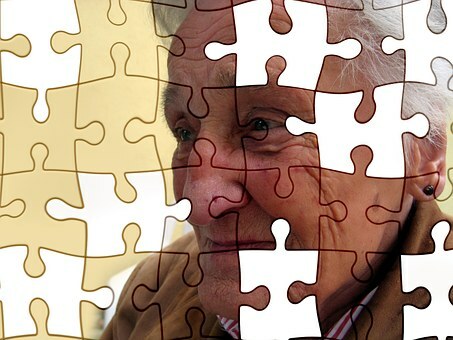 Alzheimer’s disease is the most common cause of dementia among older adults, per the site. That’s where Marian Wisnyi and the staff at Brandywine Living at Haddonfield come in. Wisnyi, the wellness director at the borough’s location, has been instrumental in implementing several techniques to help older adults and family members cope with the effects of Alzheimer’s. She encourages any member of the community to attend a monthly support group for caregivers and their families. The meetings are scheduled for the second Tuesday of each month from 5:30 p.m. to 7 p.m. in the theater located in the lower level of the building, at 132 Warwick Road. A registered nurse for almost 30 years with extensive experience in the field of geriatrics and specializing in rehabilitation and wound care, Wisnyi would like caregivers to know one thing up front. At first, Wisnyi said, the target audience for the support group was limited to family members of Brandywine residents, but later expanded to the community at large. It’s sometimes a tough draw, she said, because caregivers of those suffering with Alzheimer’s often cannot attend meetings due to their extra responsibilities. Wisnyi said each meeting will focus on a specific subject. April’s gathering was titled “Welcome to My Moment,” where caregivers learn how to reach into the place where their family members are mentally, whether that’s a high-school dance, the Army or family time. May’s subject is expected to be “Managing Behaviors” at home and within a care facility. Estimates vary, but experts suggest that as many as 5.5 million Americans aged 65 and over may have Alzheimer’s, according to the NIH. Caring for older adults who are suffering from the effects of the disease is one of a number of challenges that face the “Baby Boomer” generation as thousands in their parents’ generation continue to advance in age. As Boomers age as well, their own families will face similar issues. One particular challenge is keeping Alzheimer’s patients’ minds active and maintaining a semblance of peace when engaging with them. Caregivers are encouraged to go with the story, and one positive consequence might be the revelation of certain things that might aid in the treatment or rehab process. “The hardest thing to say to someone as a caregiver, is to tell them to relax. The daily routine is a grind. The most important thing to do is find ways to break away. Make sure you keep connected with hobbies, a book club, go to a library, take a break in nature. Strive to keep one or two things on your usual routine to remember who you are. You need to take care of you before you can take care of somebody else,” Wisnyi said. For those who want more information regarding Alzheimer’s, or to learn how to cope with someone suffering from the disease, the national Alzheimer’s Association hotline number is 1-800-272-3900, available 24/7. Wisnyi can be reached at (856) 429-5500 for more information and to RSVP for monthly support group meetings.